The current scientific model proposes that the universe is like a watch that somehow wound itself and that will unwind in a semi-predictable way. Life arose by an unknown process, and then proceeded to change form under Darwinian mechanisms that operate under these same physical rules. 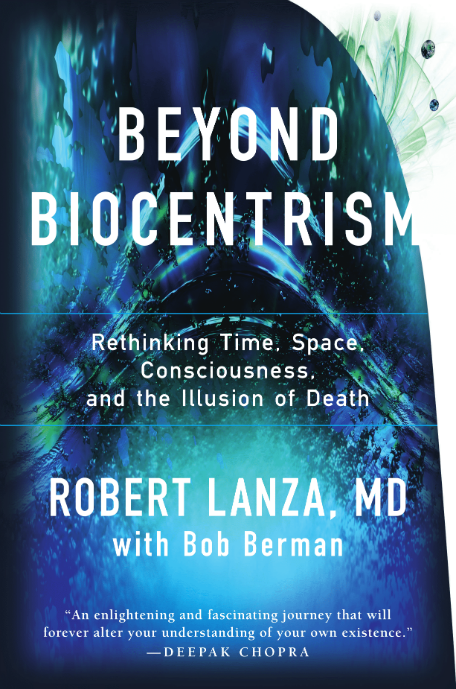 Life contains consciousness, but the latter is poorly understood and is, in any case, solely a matter for biologists. But there’s a problem. Consciousness isn’t just an issue for biologists; it’s a problem for physics. Nothing in physics explains how molecules in your brain create consciousness. The beauty of a sunset, the miracle of love, the taste of a delicious meal — these are all mysteries to science. It can’t explain how consciousness arose from matter; our understanding of this basic phenomenon of our existence is nil. Not coincidentally, consciousness comes up again in a completely different realm of science. Quantum theory, while working well mathematically, makes no logical sense. 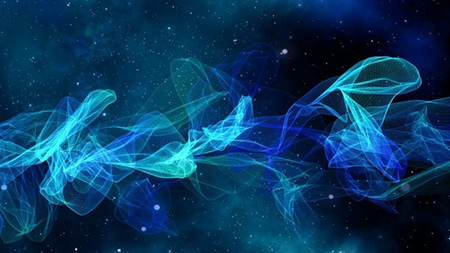 As new experiments show, particles seem to behave as if they respond to a conscious observer. 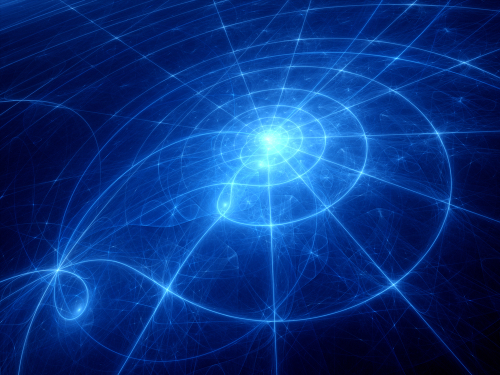 Because that can’t be right, physicists have deemed quantum theory inexplicable. The simplest explanation — that particles actually do interact with consciousness at some level — is too far outside the model to be seriously considered. But even putting aside the issues of consciousness, the current model leaves much to be desired when it comes to explaining the universe. The cosmos sprang out of nothingness 13.7 billion years ago, in a titanic event humorously labeled the Big Bang. We don’t understand where it came from and we continually tinker with the details, including adding an inflationary period with physics we don’t yet understand. When a sixth grader asks the most basic question about the universe, “What happened before the Big Bang?” the teacher, if knowledgeable enough, has an answer at the ready: “There was no time before the Big Bang, because time can only arise alongside matter and energy, so the question has no meaning. It’s like asking what is north of the North Pole.” The student sits down and shuts up, and everyone pretends that some actual knowledge has just been imparted. The student takes his chair. So that’s it! The universe is a quantum fluctuation! Clarity at last. But even the professor might wonder what things were like the Tuesday before the Big Bang. Even he realizes in his bones that you can never get something from nothing, and that the Big Bang is no explanation at all for the origins of everything but merely, at best, the partial description of a single event in a continuum that’s probably timeless. In short, this “explanation” of the origin of the cosmos abruptly brakes at a blank wall at the very moment when it seems to be arriving at its central point. Like rats swarming onto the deck of a sinking ship, more problems keep surfacing with the current model. The speed-of-light limit, or that our beloved familiar baryonic matter is abruptly reduced to just 4 percent of the universe. The bulk of the cosmos suddenly becomes dark energy, a term for something utterly mysterious. And, by the way, the expansion is increasing, not decreasing. In just a few years, the basic nature of the cosmos has gone inside out, even if nobody at the office water cooler has noticed. In the last few decades, another basic paradox has been found in the construction of the universe. The laws of physics seem to be exactly balanced for life to exist. For example, if the Big Bang had been one-part-in-a-million more powerful, the cosmos would have rushed out too fast for the galaxies and stars to have developed. There are over 200 physical parameters like this that could have any value but happen to be exactly right for us to be here. These fundamental constants of the universe aren’t predicted by any theory — all seem to be carefully chosen to allow for the existence of life and consciousness. (Yes, consciousness raises its annoying paradoxical head yet a third time.) Although biocentrism supplies answers, the current model has absolutely no reasonable explanation for this. There’s more. Brilliant equations that accurately explain the vagaries of motion contradict observations about how things behave on the small scale. (Or, to affix the correct labels on it, Einstein’s relativity is incompatible with quantum mechanics.) Any honest metaphorical summary of the current state of explaining the cosmos as a whole is… a swamp. And this particular Everglade is one where the alligators of common sense must be evaded at every turn. The reason is that our very underlying worldview is flawed. But a solution lies within our grasp, a solution hinted at by the frequency with which, as the old model breaks down, we see an answer peeking out from under a corner. This is the underlying problem: We have ignored a critical component of the cosmos, shunted it out of the way because we didn’t know what to do with it. This component is consciousness. Consciousness is a funny thing: Its language is space and time — two eternal and infinite nonentities, which are there yet without there being anything real. They’re, in the words of Kant, “sensitive concepts” — forms of intuition patterned after that Cambrian mind that wallowed by scale and fin out of the muck and ooze. But if you could see beyond the footlights and the play — beyond the sphere of space and time which we creatures spin around us — you would find yourself at last in the “garden,” behind the atoms and the stars, before Adam and Eve, and after the last man and woman. Only you would remain — that consciousness whose mode of thinking contains the actors and the audience. Nay, that contains creation.